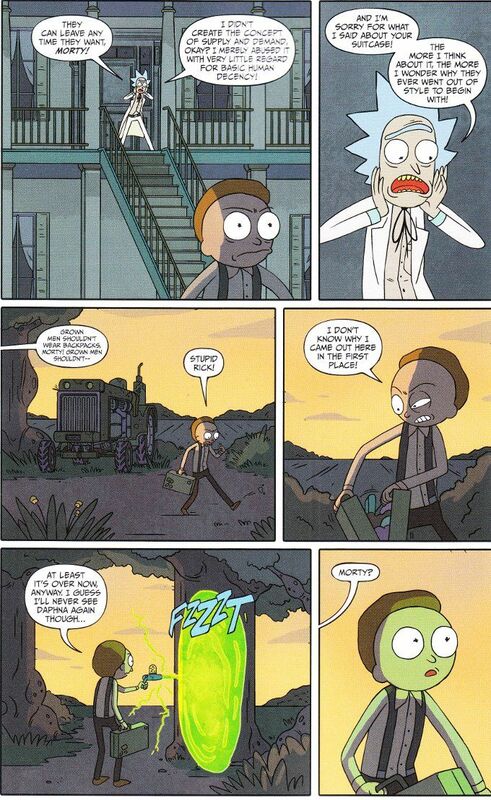 Once again, Zac Gorman perfectly captures the spirit and dialogue of the original Rick and Morty cartoons. 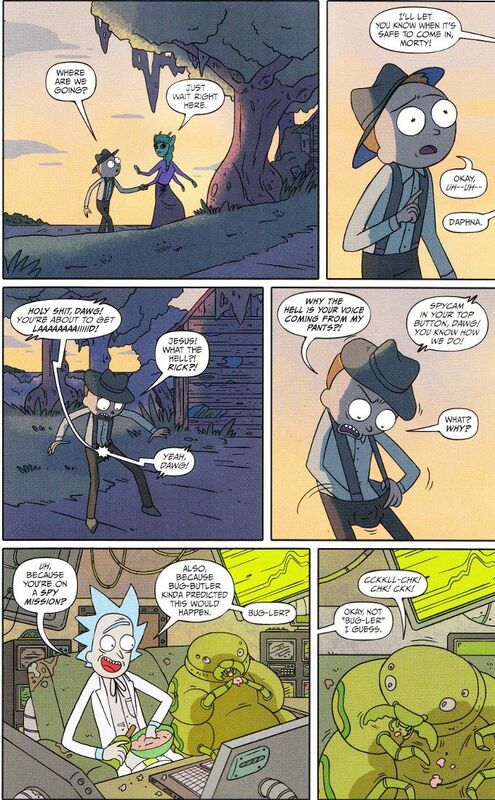 This issue is a laugh riot from start to finish, with Rick obsessing over little details like why a teenage boy like Morty uses a suitcase instead of a backpack and how his insectoid butler should be called a bugler. The ending is a little weak but the ride to get to that point is an amazing one. C.J. Cannon and Marc Ellerby continue to rock the art on this series. Every panel looks like an animation cel taken the TV show. Or it would if they still used animation cels. Wait - does Rick And Morty use animation cels? Or is it all computers now? I don't know. But the artwork looks like just like the TV show, however they animate it, so that's good enough for me!